Before you start looking for property, talk to one of our advisors. The advisor will determine your budget, explain the do’s and don’ts and guide you throughout the entire process. This to make sure you will not be faced with unpleasant surprises along the way. 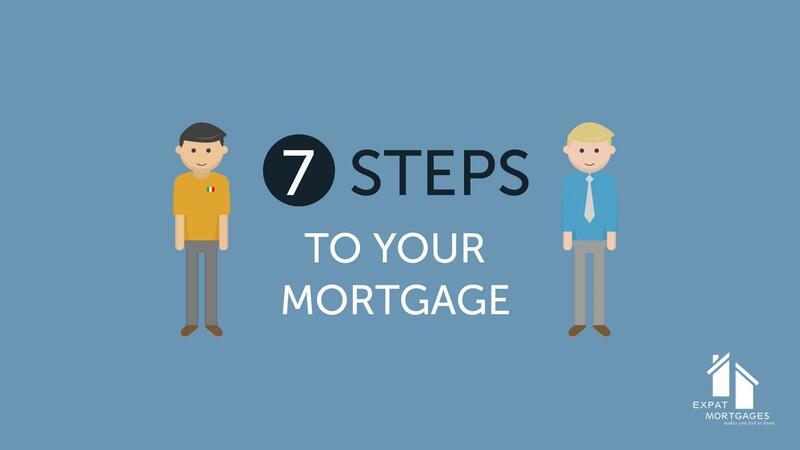 In these 7 steps we explain which steps you must take to get your mortgage. We advise you to talk to one of our consultants before you start looking for a suitable home. This is free of charge and it will give you an accurate assessment of the price range that fits your budget and the monthly payments related. That way you can act quickly when finding the perfect house and start negotiating about price and terms right away. 1. You can search through specialised sites, like Funda or VBO and make selections and appointments yourself. You will call a real estate agent the moment that you have found a suitable object and he/she will accompany you from that moment onward. The agent will assess the property and give you advice on all matters that are relevant in the buying process. And of course they will do the negotiations for you. 2. You contact a real estate agent right away. We advise you to do so since they have access to an intranet that offers objects before they are shown on the different search sites. You will be informed by your agent about available houses based upon your profile. He arranges the appointments and gives you the full service for each object that you want to visit. Fees for services from an agent differ from agent to agent. The fee for a full-service will be between 1% and 1,75% exclusive of 21 % value added tax (BTW). Expat Mortgages has agreements a great network of specialized agents used to dealing with international clients. If you want more information, please send an e-mail info@expat-mortgages.nl or call our office. Another option is to guarantee the 10% by a bank guarantee. Expat Mortgages can arrange the bank guarantee on your behalf. In the Netherlands paid interest regarding the mortgage of your main residence is still tax-deductible for a maximum of 30 years (Tax Box 1). Main requirement: the mortgage is a capital repayment mortgage. Usually you pay your mortgage interest monthly. For that reason it is useful if you can also receive your tax benefit monthly. Expat Mortgages organises the provisional refund for its clients free of charge for the first year. That way, the balance between your monthly mortgage expenses and the tax rebate becomes your net monthly payment. Private home ownership is deemed in the Netherlands to be an income constituent for income tax purposes. Costs, charges and depreciation related to home ownership are eligible for a tax allowance. Home ownership and the expenditure referred to above are incorporated as a fixed sum in the taxable (net) deemed rental income. Also, the payable interest and the costs related to the home acquisition debt can be deducted from the progressively taxable income from employment and home ownership (box 1). 1. You would like advice on other financial matters. 2. You want to let your house or apartment after getting permission of the mortgage provider and would like to get in touch with specialized real estate companies.